Status: Operational 1994. First Launch: 1994-01-24. Last Launch: 1997-01-30. Number: 5 . Gross mass: 1,890 kg (4,160 lb). 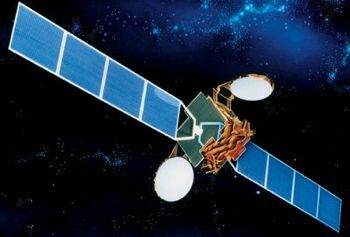 Eutelsat-2 F1, F2, F3, F4, F5 Communication satellite built by Aerospatiale for Eutelsat, International. Launched 1990 - 1994. Used the Spacebus-2000 bus. Turksat 1A, 1B, 1C Communication satellite built by Aerospatiale for Tnrksat AS, Turkey. Launched 1994 - 1996. Used the Spacebus-2000 bus. 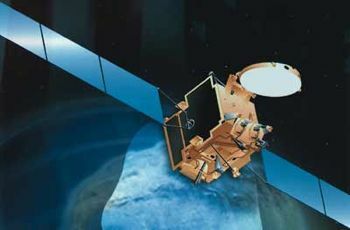 Hot Bird 1 Communication (Direct Broadcasting) satellite built by Aerospatiale for Eutelsat, International. Launched 1995. Used the Spacebus-2000 bus. Nahuel 1A Communication satellite built by Dornier Satellitensysteme (prime), Aerospatiale (bus) for Nahuelsat, Argentina. Launched 1997. Used the Spacebus-2000 bus. Family: Communications, Geosynchronous orbit. Country: France. Launch Vehicles: Ariane, Ariane 44LP, Ariane 44L. Projects: Eutelsat, Nahuel, Turksat. Launch Sites: Kourou, Kourou ELA2. Agency: Cannes. Bibliography: 2, 279, 4, 6, 6918. Turksat 1A - . Payload: Turksat 1A. Mass: 1,890 kg (4,160 lb). Nation: Turkey. Agency: Arianespace. Program: Turksat. Spacecraft: Spacebus 2000. 1995 March 28 - . 23:14 GMT - . Launch Site: Kourou. Launch Complex: Kourou ELA2. LV Family: Ariane. Launch Vehicle: Ariane 44LP. Hot Bird 1 - . 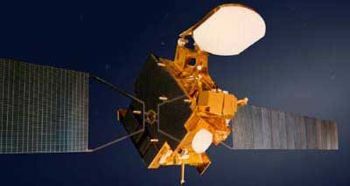 Payload: Eutelsat HB1. Mass: 1,800 kg (3,900 lb). Nation: Europe. Agency: Eutelsat. Manufacturer: Cannes. Program: Eutelsat. Class: Communications. Type: Civilian communications satellite. Spacecraft: Spacebus 2000. USAF Sat Cat: 23537 . COSPAR: 1995-016B. Apogee: 35,798 km (22,243 mi). Perigee: 35,773 km (22,228 mi). Inclination: 0.00 deg. Period: 1,436.10 min. Stationed at 13.0 deg E. Positioned in geosynchronous orbit at 13 deg E in 1995-1999 As of 3 September 2001 located at 12.93 deg E drifting at 0.014 deg E per day. As of 2007 Mar 11 located at 160.81W drifting at 3.441W degrees per day..
Nahuel 1A - . Mass: 1,890 kg (4,160 lb). Nation: Argentina. Agency: ArSat. Manufacturer: Cannes. Program: Nahuel. Class: Communications. Type: Civilian communications satellite. Spacecraft: Spacebus 2000. USAF Sat Cat: 24714 . COSPAR: 1997-002B. Apogee: 35,798 km (22,243 mi). Perigee: 35,774 km (22,228 mi). Inclination: 0.00 deg. Period: 1,436.10 min. Geosynchronous. Stationed over 71.8W Positioned in geosynchronous orbit at 72 deg W in 1997-1999 As of 3 September 2001 located at 71.82 deg W drifting at 0.007 deg W per day. As of 2007 Mar 9 located at 71.83W drifting at 0.002W degrees per day..